New Delhi [India], Feb 9 (ANI): The Delhi Metro Rail Corporation (DMRC) on Saturday opened the much awaited 1.2 km-long footover bridge linking Durgabai Deshmukh South Campus station of Pink Line with Dhaula Kuan station of Airport Express Line. New Delhi [India], Dec 31 (ANI): Expressing pride over Japan's continued participation in the Delhi Metro project, the country's ambassador to India, Kenji Hiramatsu on Monday said that Japanese expertise would spur urban development initiatives in India. New Delhi, December 31 ANI: Delhi Deputy Chief Minister Manish Sisodia on Monday called for exploring ways and means to bring down Delhi Metro fares. New Delhi [India] Dec 31 (ANI): The Lajpat Nagar- Mayur Vihar Pocket 1 section of Pink line of Delhi Metro was flagged off at Metro Bhawan Auditorium here on Monday. New Delhi [India], Dec 28 (ANI): In a New Year gift for the Delhiites, Delhi Metro is all set to open the Lajpat Nagar-Mayur Vihar Pocket 1 section of Pink Line on December 31. New Delhi [India] Aug 6 (ANI): Lajpat Nagar Metro-Durgabai Deshmukh South Campus Corridor of the Delhi Metro will be inaugurated on Monday. 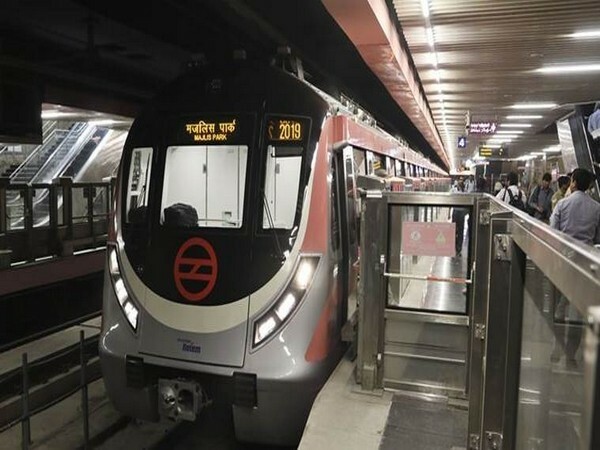 New Delhi, [India] Apr 24 (ANI): The Delhi Metro Rail Corporation (DMRC) on Tuesday started test runs on the 8.10 km stretch between Lajpat Nagar and Sir Vishweshwaraiah Moti Bagh section of the 59 km long Majlis Park-Shiv Vihar corridor (Line 7) of Phase-III, also known as the Pink Line. New Delhi [India], Mar. 15 (ANI): A section of the Delhi Metro's newly-built 58-km-long Pink Line was inaugurated here, taking the operational span of Delhi Metro Rail Corporation (DMRC) to 252 km. New Delhi [India], Mar 14 (ANI): Commuters will get a chance to take a metro ride in the swanky new Pink Line, which is scheduled to become operational from Wednesday evening. New Delhi [India], Mar. 09 (ANI): The 21.56-km-long section of the Pink line, connecting Majlis park to Durgabai Deshmukh South Campus, is likely to open next week, as the Delhi Metro Rail Corporation (DMRC) received safety clearance on Thursday.